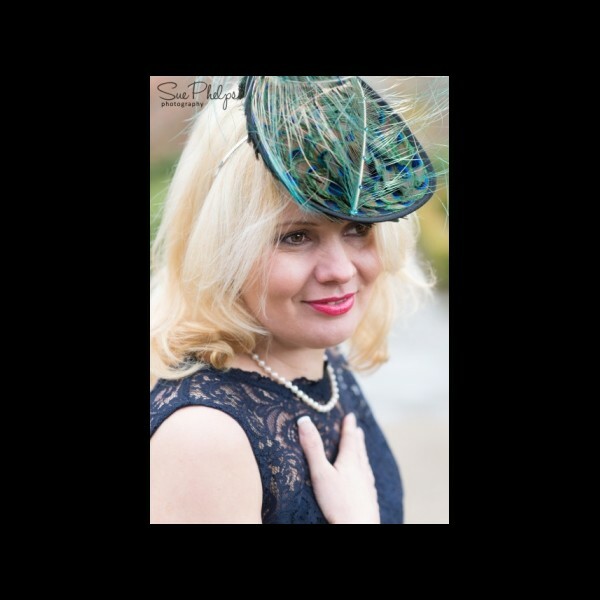 The smallest of my 'signature' Peacock feather headpieces, still creating a dramatic statement with the added flourish of a two tone burnt ostrich feather. 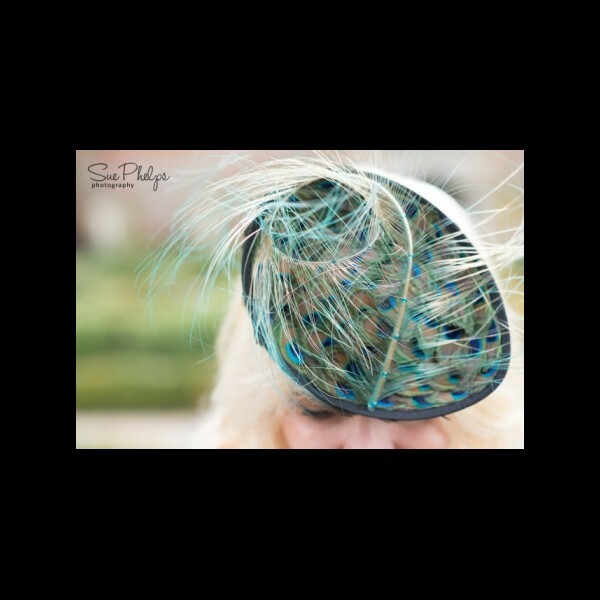 Gorgeous & Glorious Mini Peacock Feather Headpiece. 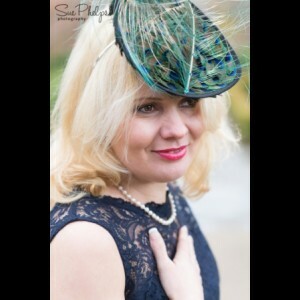 The smallest size of my signature Peacock feather saucer headpiece, oval in shape, measuring approximately 21cm by 16cm. 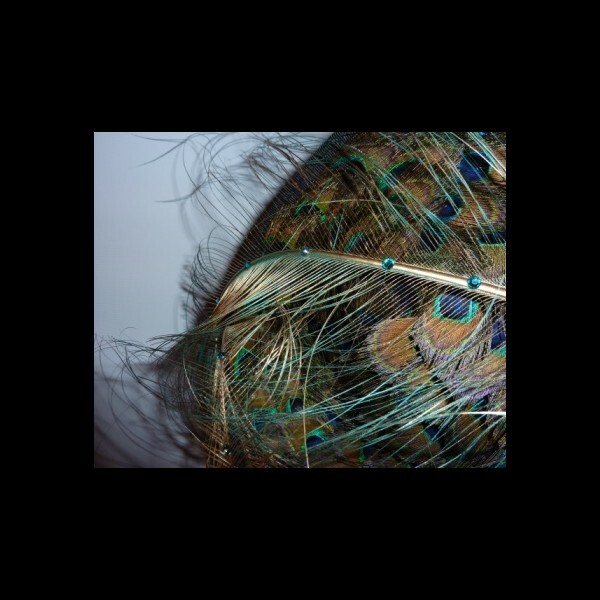 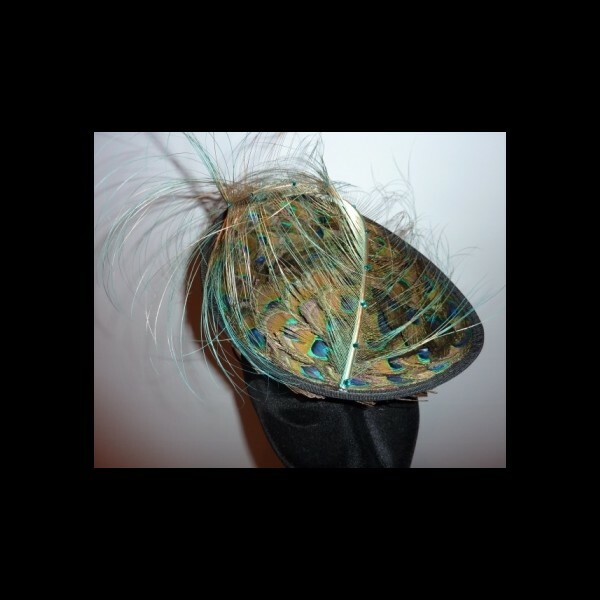 Worn towards the front of the head and mounted on a slim metal hairband this striking piece is covered with Peacock feathers on both sides. 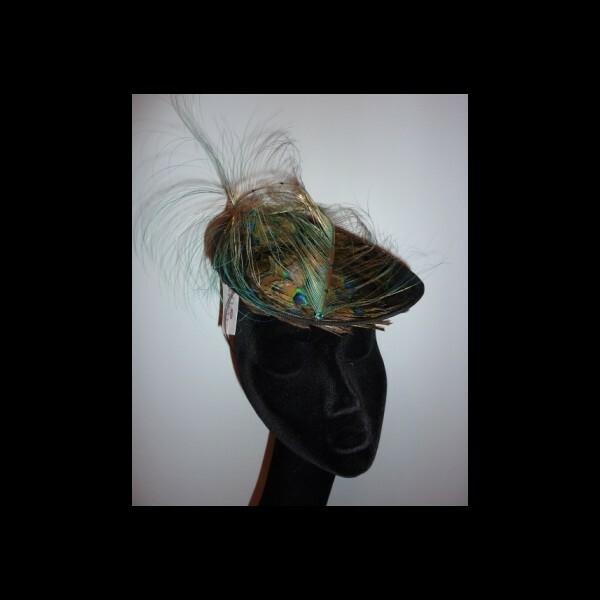 The finishing flourish is a two toned burnt ostrich feather - jade green and gold, which has been hand curled and dotted with Blue Zircon Swarovski crystals.